In November 2017, the United States Senate confirmed Peter Robb as the new General Counsel for the National Labor Relations Board (“NLRB”). On December 1, 2017, Mr. Robb issued Memorandum GC 18-02 (“Memorandum”) in which he outlined several changes in NLRB policy. The anticipated shifts in NLRB priorities and strategy were expected to be a welcome change for employers as the Memorandum signaled Mr. Robb’s intention to change or rescind many of the more controversial initiatives pursued by the NLRB during the Obama administration. One of those controversial initiatives was the case of Browning-Ferris Industries of California, a 2015 decision in which the NLRB held that mere potential control over the working conditions of another employer’s workers was sufficient to find a joint employer relationship. This decision had the effect of making it easier for businesses to be held legally responsible for alleged employment law violations by staffing companies, franchisees, and other related organizations. On Friday, September 14, 2018, the NLRB published a Notice of Proposed Rulemaking which serves to tighten this standard. Under the proposed rule, an employer may be found to be a joint employer of another entity’s employees only if it possesses and exercises substantial, direct and immediate control over the essential terms and conditions of employment (such as hiring, firing, discipline, supervision, and direction) and has done so in a manner that is not limited and routine. The rule represents a dramatic departure from the Browning-Ferris standard, under which indirect influence and contractual reservations of authority could be sufficient to establish a joint employer relationship. The public will have 60 days from the September 14 date of publication of the proposed rule in the Federal Register – i.e., until November 14, 2018 — to submit comments, which the NLRB will then consider in formulating its final rule. Many anticipate the proposed rule could also be challenged in court on procedural grounds as it is Board custom to require the support of three members to change a law. One of the three proponents of the proposed rule left the Board when his term expired at the end of 2017. Nevertheless, the proposed rule, if enacted, promises to provide welcome relief to business groups and employers who have long struggled with the Browning-Ferris standard for joint employment, particularly as the Save Local Business Act, congressional legislation which was introduced several months ago in an effort to narrow the definition of joint employment, has faced substantial Democratic opposition. As the Board explains in the proposed rule, joint employer status will not be established “where the degree of a putative joint employer’s control is too limited in scope.” The Board elaborated that its “preliminary belief is that, absent a requirement of proof of some ‘direct and immediate’ control to find a joint employment relationship, it will be extremely difficult for the Board to accurately police the line between independent commercial contractors and genuine joint employers” and that the proposed rule is intended to “provide greater clarity to joint employer determinations.” Employers would be well-advised to stay on top of this changing legal landscape. 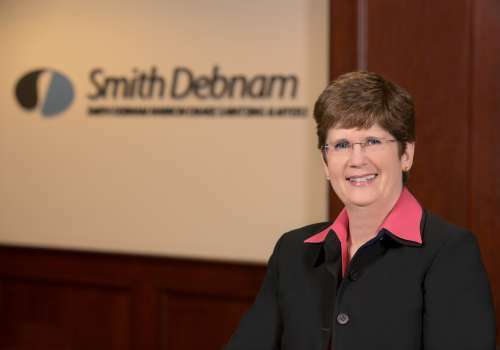 If you have questions or concerns about this NLRB proposed rule or other legal issues, please feel free to contact Connie Carrigan at ccarrigan@smithdebnamlaw.com.